Do not miss that chance to invest in a large piece of agricultural land in close vicinity of Sandanski – the most famous spa resort in Bulgaria among the foreigners. The land comprises 6000 sq m entire parcel that could be used for different purposes. It is a valuable plot because of it’s location. It is in the suburbs of Sandanski facing the mountain and the valley of the river Struma. The terrain is inclined towards the valley and behind the land is Sandanski town. 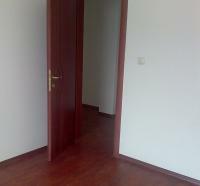 The property is some meters away from the nearest regulated plot; water and electricity are available. The land is accessible through dirt road but the asphalt one is only 800 m and the major - E79 is no more than 1 km and a half away. Thanks to its closeness to communications the plot allows to be regulated easily. This is a procedure that takes from 6 to 12 months. After that the chosen land could be built up. For that particular one the maximum density allowed is 70 %. The land is big enough for larger developments like holiday complexes, commercial or industrial structures, storehouses etc. The town is very well organized with all necessary amenities available. There are shops, mall, cafes, restaurants, hotels, medical centers, post office and regular transport to the nearest villages, also Melnik, Petrich and Blagoevgrad. The resort is popular with its mineral springs, spa centers and sanatoriums. The climate varies from hot summer to mild winter and that is why the resort is preferable for holidays all year long. It is just 22 km far from the Greek border and about an hour driving from the White Sea coast. It takes some 2 hours and a half to reach to the capital of Sofia and the International Airport.